Fan Gang: Real estate entrepreneurs are still "happy". The direction of real estate marketization cannot be changed. The 18th Annual Meeting of the 2018 Boao Real Estate Forum will be held in Hainan, China on August 1-4, 2018. 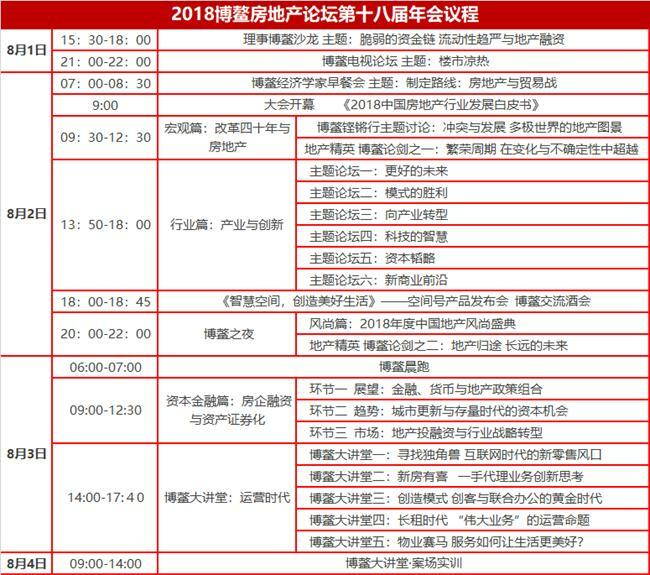 Organized by the viewpoint real estate new media, the forum is an industry-wide forum with great influence, wide participation and high authority in China's real estate industry. It is an ideological event of China's real estate wisdom peak collision. The theme of this forum is “Time and Future of Real Estate Return”. Fang Changbin: Internet companies are also rivals. Commercial real estate still needs innovative grafting. Chen Huai: The future of real estate is difficult to be underestimated. Policy factors have a big impact on the market. Cai Jinqiang: After the magical back pot man real estate, the shed was changed into "the top back pot man"
Zhu Haibin: The Ministry of Finance is ordering the central bank to pay the bill. Under the strict supervision, the credit is difficult to rebound. Shi Yongqing: The probability of a property turning point is worth paying attention to. 2018 makes sense to pursue caution. Chen Huai: The future of real estate is difficult to be small. Policy factors have a greater impact on the market.